Yay! More great wizard textures from Wayii! Awe you're welcome! Do you have M4 Witch Hunter? That's on the Hedge Mage list after I get Windy Wizard squared away. With the exception of WW, I went exclusively with the PC magical meshes on these. I figured that at 1.99 a pop, most folks could afford to collect them all (*hum Pokemon theme*) if they fell in love with the set. Woo hoo! 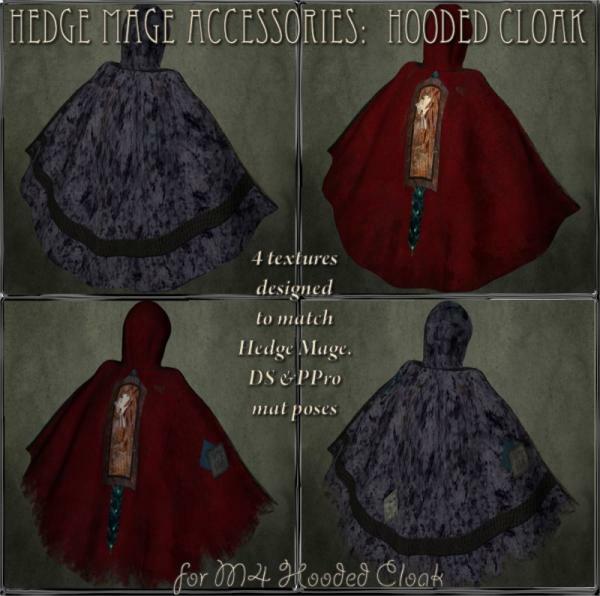 I don't have The Mage, but at least now I've got a little bit of Hedge Mage for my runtime. ;) Thanks a bunch, hon.